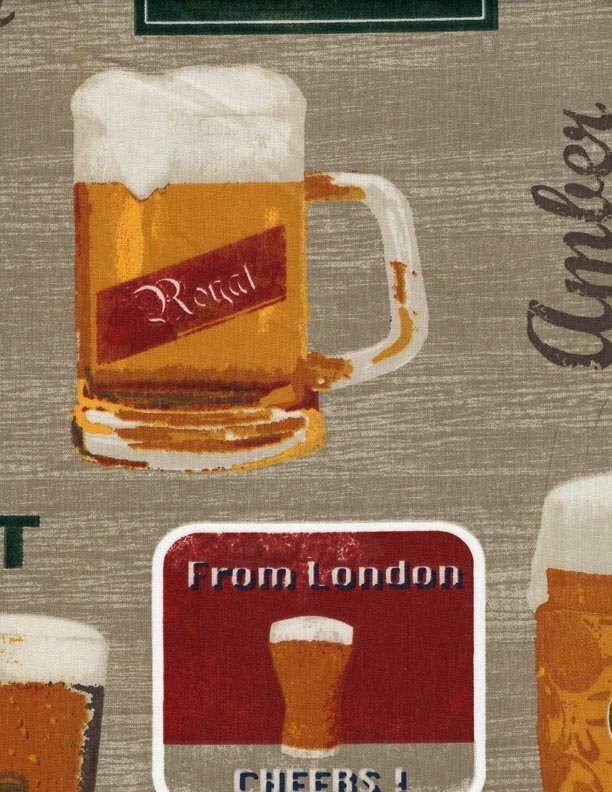 This fun cotton fabric features beer steins, names, and mats. Fabric is 100% cotton and 62.5 inches wide. Perfect for tablecloths, curtains, or for crafts and quilting. Has a 16" repeat.